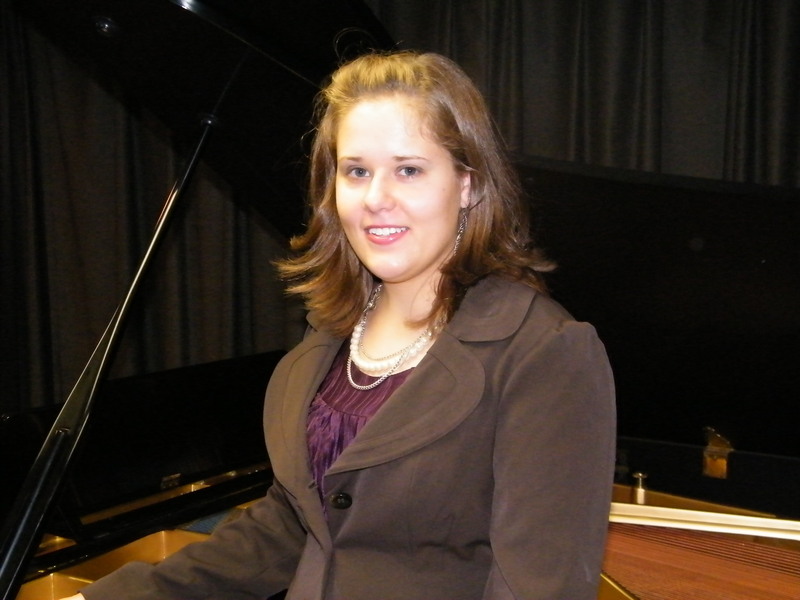 Dana Dolezal, a music major at Silver Lake College, will present her Senior Voice Recital on Friday, November 19th, at 7:30 in the College Chapel. A Manitowoc resident, Dana is a 2007 graduate of Lincoln High School where she participated in many musical events and ensembles. She has been involved in music from an early age, singing when she was very young, taking piano lessons since second grade and playing flute since fifth grade. During her college years, Dana has participated in Silver Lake’s Concert Choir, Chorale, Wind Ensemble and Handbell Choir. She toured with the Silver Lake Chorale in the Spring of 2010. Dolezal is in her final year in the Music Education program at Silver Lake with a double major and licensure in Choral Music and in General Classroom Music – Kodaly Emphasis. She has studied voice at Silver Lake with Constance Albert for several years and currently with Damon Carlson. Her program includes art songs and arias from the Baroque through 20th century styles. The composers represented include George F. Handel, Wolfgang A. Mozart, Christoph W. von Gluck, Fanny Hensel, Charles Gounod, Claude Debussy, John Kander & Frank Ebb, Rodgers & Hammerstein, and Stephen Sondheim. The recital is open to the public. You are currently browsing the Silver Lake College News blog archives for November, 2010.